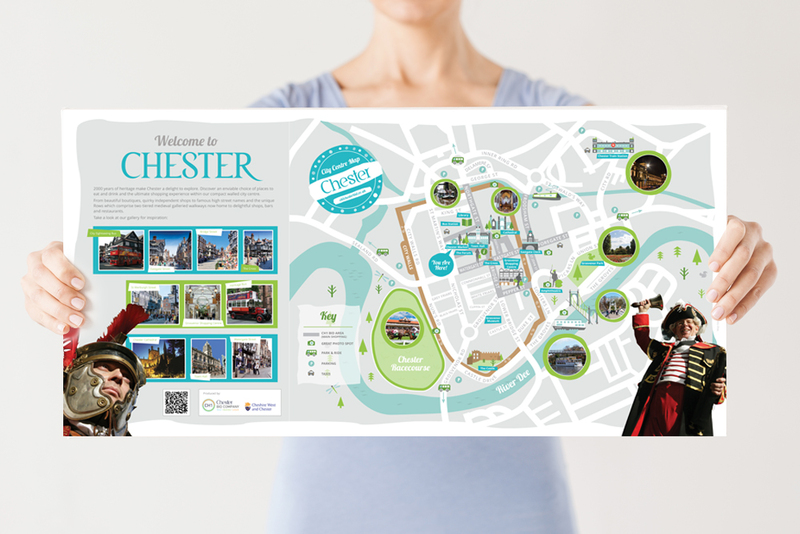 The CH1 Chester BID Company approached us to produce a map that would welcome visitors to the city and provide an immediate and visually coherent sense of place. 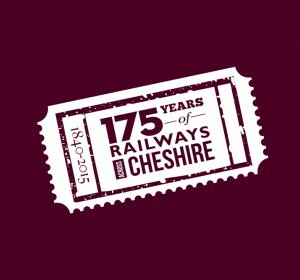 The maps would be situated in the various car parks around Chester. 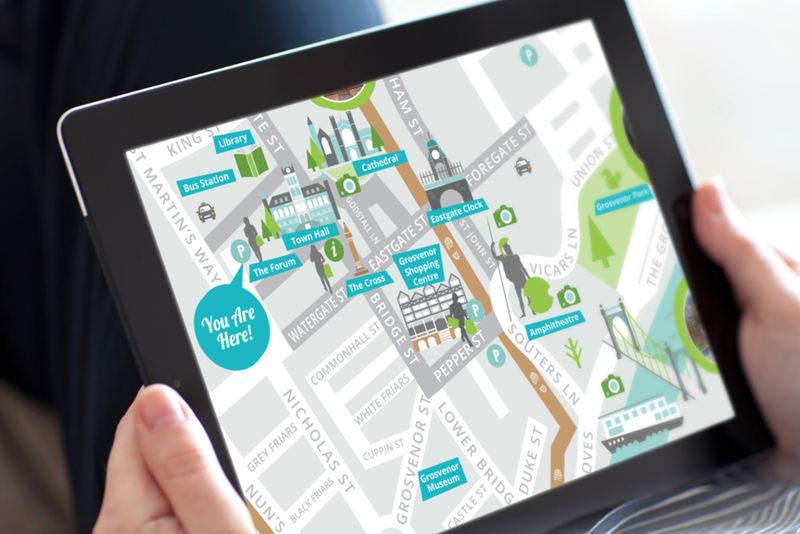 We designed the maps using a combination of illustration (for key landmarks) and photography. 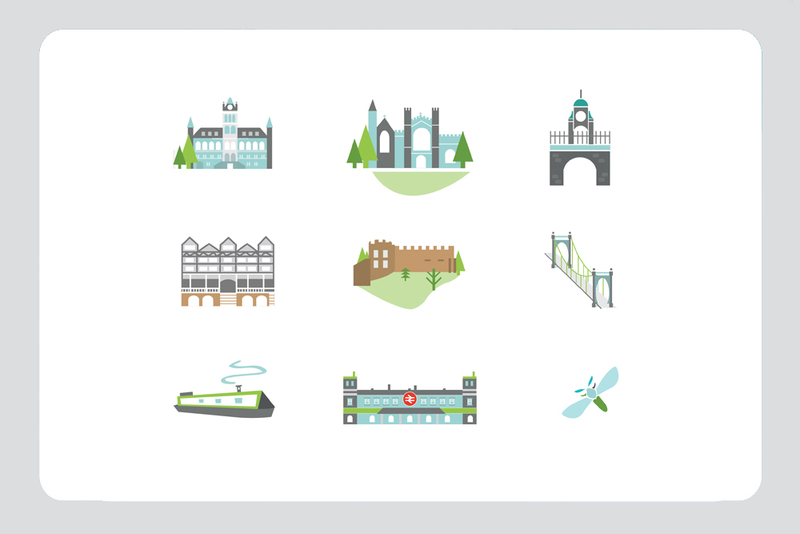 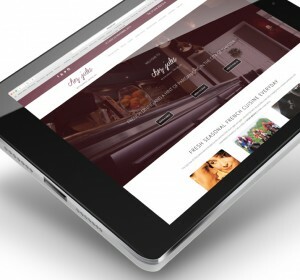 A sensitive colour palette was adopted in order to give clarity to the salient points of interest. 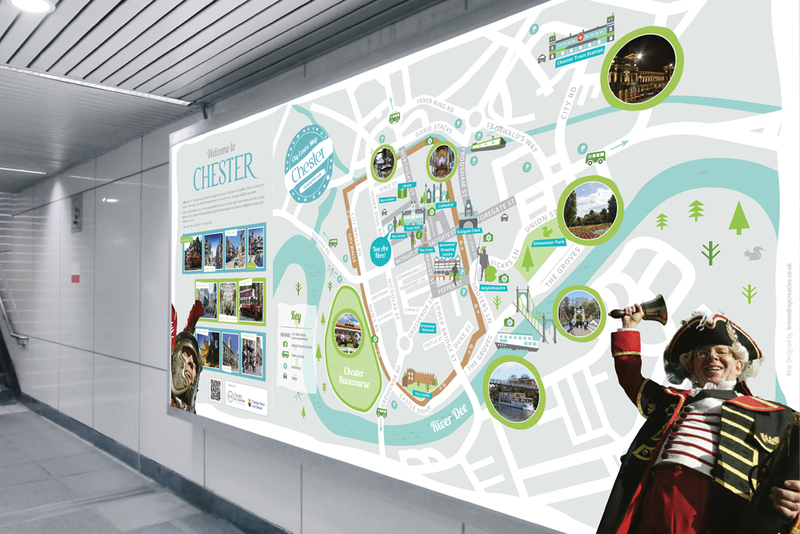 The maps are now part of the Chester welcome experience and have been positively received and further adopted by the Chester business community.